Find My Workspace lists over 95% of the business centres market in East Kilbride. Simply click Request Quote to check pricing for one office, or Add to Basket for multiple offices. 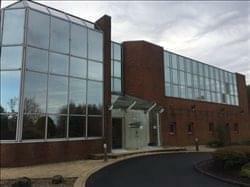 This Business Centre is located in East Kilbride and offers a mix of various sized serviced offices. The facility offers a full range of services including access to communal kitchen, meeting room and large conference facilities. On-site parking is also available. Your monthly rental figure includes rent, rates and electricity as well as allocated private parking spaces. The terms offered are also extremely flexible, all we ask for is one-month notice from the tenant. To obtain information for your selected South Lanarkshire Business Centres, please tick the "Add to basket" box for each office you prefer and complete the form below. We will then send a detailed report via email.